I am a 19 year old female, from a town that is known as being a part of the “Low Socio-Economic” bracket. When I read or view a form of literature I am fully aware that I am being shaped or influenced by these factors. Another factor that I know has a huge impact on the way that I view certain forms of literature is that I am a mother. When viewing the advertisement of Chanel No.5 with Nicole Kidman, it is a nice break from reality. As the advertisement is projected as a miniature movie, it is a nice little fix of drama/fantasy for a mother that is studying at University and does not have time to go to the movies and sit for 2 hours. I did enjoy this piece of literature, as I am a fan of Nicole Kidman- I have enjoyed many of her movies, so that got me on side. Some other outside factors of this advertisement is the well-known fact that this advertisement cost a fortune to make ($18 million). The director of the film was also the great Baz Luhrmann, who has worked with Nicole Kidman in Moulin Rouge and Australia. He has also directed Romeo and Juliet with Leonardo Di Caprio and Clare Danes as well as many other blockbuster movies. Taking into account the cost, main actress and director the advertisement which is also known as a mini-movie, has the pretence to be a great piece of literature. I am a great believer in the idea of modernising literature to engage and involve students better, as this is how I prefer to learn personally. I believe that if when teaching a class, you show an adaptation or modern version of a classic to “set the mood” for the students. When I originally saw the Chanel No. 5 commercial, when it first aired to television, it reminded of Moulin Rouge. However, in the workshop I learnt from the group discussion that it had a similarity to the other movie “Notting Hill” as well as some classic pieces of literature with the plot of running from whom you really are and the upper class trying to hide amongst the commoners. This shows the intertextuality that occurs in literature of all different types. Moon (2010) states that there can never be a text that is completely original, it will always have an outside influence, which is evident in this advertisement. The outside factors are the two movies that I have stated previously. Another textual feature that is evident in this advertisement is Polysemy which is discussed by Moon (2010) on page 98 of his textbook. Polysemy is the idea that all words and images have the potential to mean more than one thing. The main example of this is the product being advertised. It is Chanel No. 5 which is a popular brand of perfume but as the advertisement shows, it can mean much more than that. Chanel No. 5 also means luxury, perfection, fantasy, romance, fame, fortune and a certain amount of mystery to name a few. It takes a certain level of semiotic analysis (Moon, 2010, p139) to understand the advertisement properly. Semiotic analysis is the term given to the way in which humans can understand and interpret signs that are in the world. 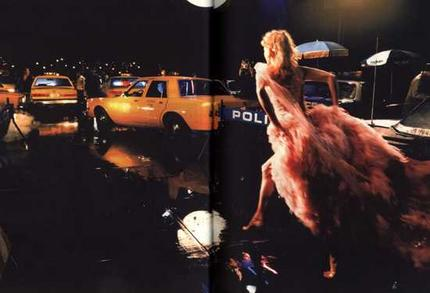 In this advertisement it opens with camera flashes, which are then interpreted as paparazzi cameras which in turn allow the viewer to know that the person whom the flashes are aimed at is famous. It is the textual features stated above that have influenced my reading and understanding of the advertisement. All of the concepts stated above allowed me to understand the message being portrayed. The features such as music, flashing scenes and others add to the suspense and spontaneous energy that is a part of the advertisement. I am well aware that my interpretation of this advertisement may be completely different to that of someone else, because of what prior understanding and influences I bring to the literature. Being able to analyse the advertisement down to what message is being portrayed, what semiotics are present and what is the dominant reading are very important to be taught in the classroom. I believe it is important that students are aware and equipped with these tools to be able to analyse advertisements and other forms of literature. My approach to literature is to try to make it relevant to the class, so watching an advertisement like this as an introduction to deconstructing texts using literary concepts or using a snippet of a movie to introduce a book is something that I could imagine myself doing in my classroom.